The kiosk at Newton & 12th Street NE is open to all for the posting of flyers and community announcements. You may also find Brookland Neighborhood Civic Association (BNCA) meeting and event announcements here. Much needed TLC was completed in December 2015 to repair weather-related damage to the kiosk. Original funding for the kiosk and funding for repairs came from several sources including former BNCA presidents, the ANC, the Garden Club, and the BNCA. A very warm thanks to Caroline Petti, BNCA president from 2009 – 2012, who funded and worked tirelessly to have the kiosk constructed in 2011. BNCA sponsors and organizes picnics, social events, community clean-ups, and other activities throughout the year. Please see the Calendar for upcoming events. 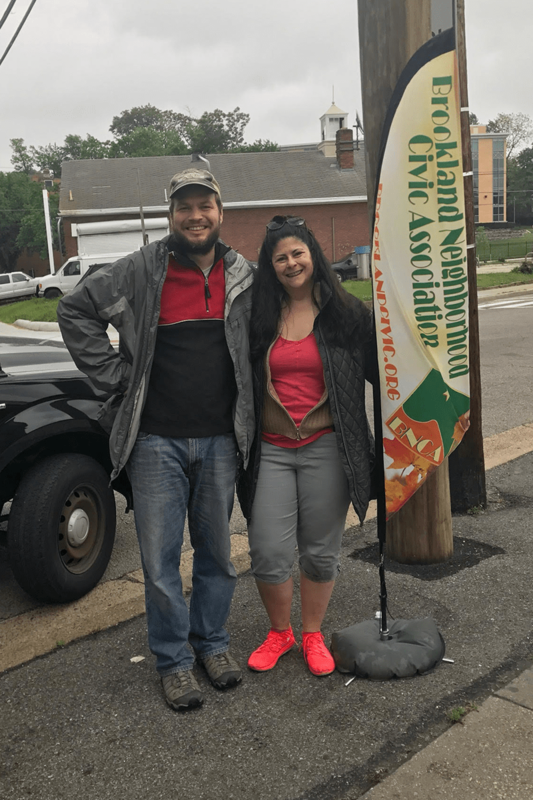 Every year in May, we sponsor The Great Brookland Yard Sale, a time for Brookland-area residents to host concurrent yard sales. It’s also a great showcase of our local businesses. In 2018, we had over 80 sale locations! In the past, BNCA sponsored Brookland Day to kickoff summer with a parade and cookout. This is something we’d like to bring back. Please get in touch if you would be interested in helping organize this event. You can also help bring it back by donating to BNCA. Many other events happen annually in Brookland. Enjoy live music at the Porch Fest in April. 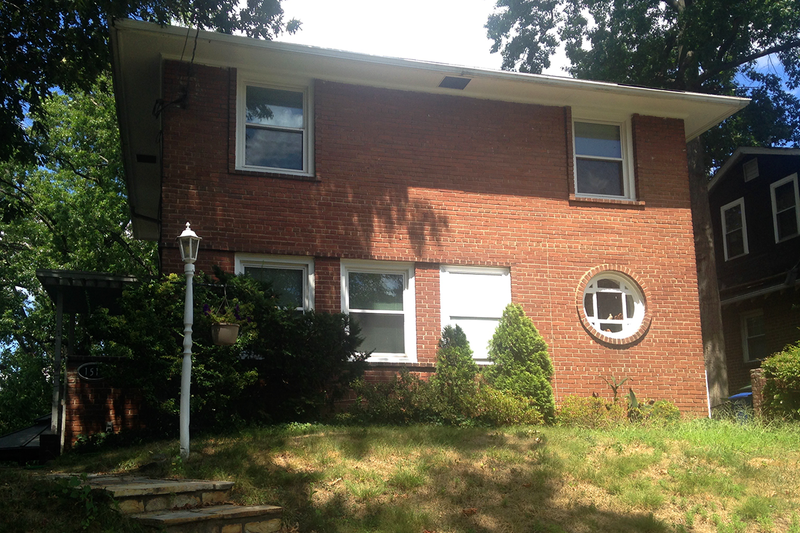 Visit beautiful Brookland homes at House and Garden Tour in June. Decorate pumpkins with your family at the Rhode Island Ave. Fall Fest in September. Brookland is a hub of creativity with many working artists. Studios in the Arts Walk are open to the public on the third Thursday of every month 6 – 9 pm. Dance Place hosts free music, dance, arts and crafts throughout the neighborhood from May through September. For the full schedule, visit ART ON 8TH. There are more community events going on in Brookland than we could possibly list here. But be sure to check out the the Franciscan Monastery, the Greater Brookland Garden Club, Friends of Rhode Island Avenue, Dance Place DC, and the Jazz and Cultural Society for other fun events. See our Welcome Page for more info about the neighborhood. Crime is a frequent topic at our meetings, especially because incidents of theft have been on the rise (CrimeMap.DC.gov). We invite the Metropolitan Police Dept. to respond to your concerns and questions. We also provide neighborhood watch training. BNCA advocates for increased police presence in places where visibility is low, such as the Metropolitan Branch Trail. We also urge the Council and MPD to take all possible steps to stop crime and violence in “hot spots” that have ongoing problems. If you have not already joined the Brookland Yahoo Group listserv, we encourage you to do so. The listserv helps neighbors communicate with one another quickly about any and all happenings in the neighborhood, and DC. (Please be courteous!) Get to know your neighbors, so you can help one another to stay safe. Take advantage of the incentive program, and get security cameras installed at your house. Open and complete your own Valuable Property Record. If you are a victim of crime or home disaster, this information will be of great assistance to you! Brookland is a community under enormous development pressure. BNCA is working to ensure community views are represented and reflected in development decisions. We are committed to listen, discuss and take action to protect the historic, diverse, charming character of our neighborhood. 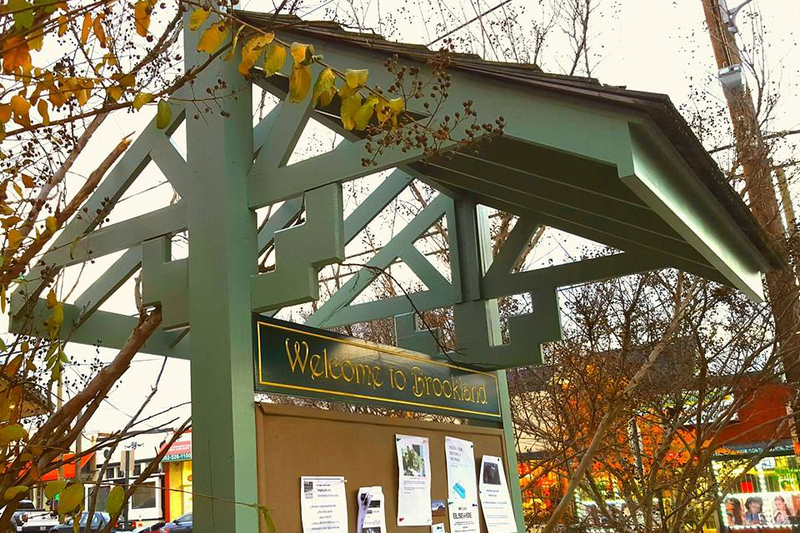 Through discussion, deliberation, consensus building, and votes of the membership, the organization and the Board advocates for Brookland in government proceedings and discussions with developers. BNCA will file comment letters, Freedom of Information Act requests, or even intervene in proceedings to fight for the community’s interests. BNCA helped stop the I-95 expansion in years gone by. More recently, we successfully stopped the development of the Brookland Green by WMATA on property outside the Brookland Metro Station. At the same time, the BNCA supports local businesses and those undertaking appropriately scaled development. If you are a Brookland business owner or resident who needs the support of the community, don’t be afraid to reach out. Contact us! 901 Evarts Alley Closure: In March 2016, BNCA sent a letter to the Office of the Surveyor opposing an alley closure behind Reed Street NE, which poses many negative impacts to residents. Proposal to close the alley was made by the Adams Investment Group, which is seeking to build a 700-unit apartment complex at 901 Evarts St NE. By closing the alley, the developer may join two parcels of land, and rebuild where the auto mechanics and the Ducks warehouse is currently located. The developer’s plan is contingent on the alley closure, which the city council must approve. The majority of residents near the project oppose the alley closure and the scope of the project. At 9 stories, the building is out of character with the rest of Evarts Street. Potential Redevelopment of Howard University School of Divinity Campus: In June 2016, Howard University began to discuss development of the School of Divinity, at 1400 Shepherd St NE, which totals 23 acres. Currently their students have been relocated, because the historic building is in need of costly repairs. Howard partnered with the Urban Land Institute to facilitate an exploration of options for the property, which included interviews with local residents. Many residents of Brookland, including several BNCA officers and many of our members, shared their viewpoint through interviews. Most residents favor a historical designation for the building (pending) and preservation of the excellent green space surrounding the beautiful old building. BNCA supports equitable housing policies, and efforts to broaden and strengthen existing policies. We want to maintain and strengthen this diverse community of artists, activists, urban farmers, and scholars, young and old. We believe the City needs much tougher policies to protect the most vulnerable and preserve the character of the City. All developers need to go farther than their minimal legal requirements and include “deeply affordable” units. That’s why it’s also important to support those in existing affordable housing, and not let our current housing stock be replaced by high-end condos and remodels that only the wealthiest can afford. 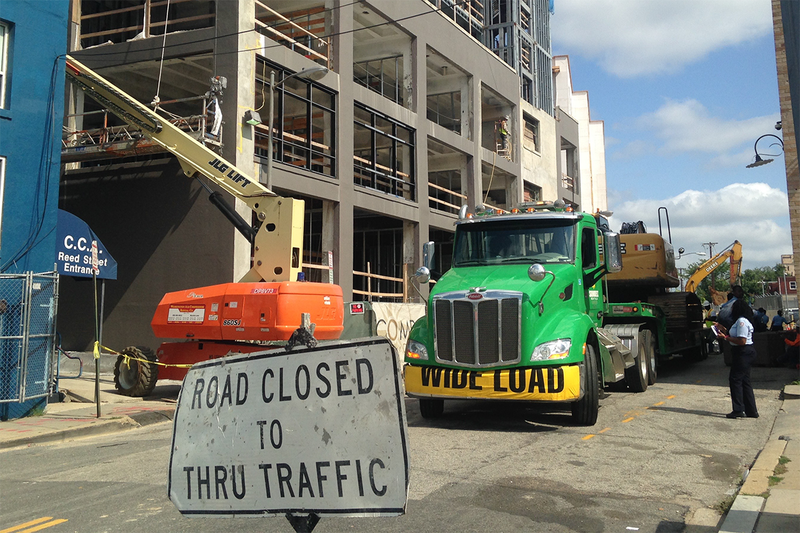 Just south of Rhode Island in nearby Brookland Manor, there are 535 affordable apartment units. About two-thirds are federally-subsidized Section 8 housing. Mid-City Financial Corporation, which owns the complex, plans to demolish and rebuild this property as a mix of apartments, townhouses, and retail. They have said they are committed to maintaining the same number of subsidized units, but it appears the other affordable units may go. Neither the residents nor BNCA are opposed to all redevelopment of the property. However, we are watching to ensure all of the tenants receive fair treatment. We will support our neighbors as they seek to obtain an agreement that minimizes displacement. The BNCA Statehood Committee was formed in the fall of 2011 to promote the cause of DC Statehood in Brookland by educating residents about the benefits of Statehood and encouraging residents to take actions that will promote DC Statehood. 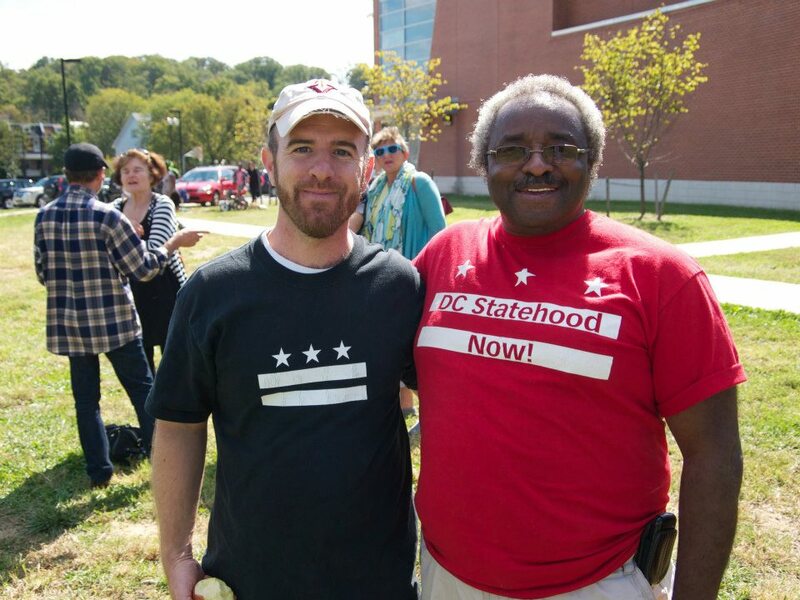 On May 18, 2013, BNCA passed a D.C. Statehood Resolution, demanding Statehood for the residential and commercial portions of the District of Columbia, in order that our second-class citizen status be permanently abolished. The BNCA Statehood Committee quickly expanded to encompass all of Ward 5. Organized by Brookland resident Josh Burch, they changed the name to Neighbors United for DC Statehood, and now reach out to all parts of the city. They lobby House and Senate offices, present at town hall discussions, organize trivia nights. and other events. It is open to all and welcomes your ideas and energy to move this cause forward. Visit The51st.org to get involved. If you need proof of progress on this issue, DC will be holding a referendum on statehood this fall! Between construction, heavy trucks, and illegal ATVs, neighborhood streets in Brookland are often congested or dangerous. We encourage residents to communicate with the District Dept. of Transportation and DC government about problems. Check “No Parking” permit signs for valid printed dates, not handwriting. You can also text 50411 and notify the city any time you see a violation or crime occurring. In March 2015, a 1,500 car-parking garage was proposed for 818 Michigan Ave. NE. Brookland residents have serious concerns about how this intersection will handle an additional 9000 car trips each day, which is 7 miles of cars back to back! The traffic study was conducted by the developer’s own consultant and its feasibility analysis had obvious flaws. There are also serious questions about air quality, stormwater run-off, and pedestrian and cyclist safety. BNCA has sent a letter to the Office of Planning opposed to the plan. A parking garage of this size will not improve quality of life in Brookland. BNCA asks Douglas Development to reconsider the scope or draft a new plan for the space. Brookland residents can help by signing the petition to Children’s Hospital and Kenyan McDuffie, that was created by BNCA members in the Perry Place Neighborhood. Brookland drivers, pedestrians and cyclists have participated in several traffic and livability studies over the years. BNCA will continue to insist that more traffic-calming measures and road improvements be made in our area. We need serious efforts to reduce traffic congestion through improved transit, walking, and biking options, and we need the city to enforce the laws against speeding, heavy trucks, ATVs and dirt bikes cruising on small residential streets. 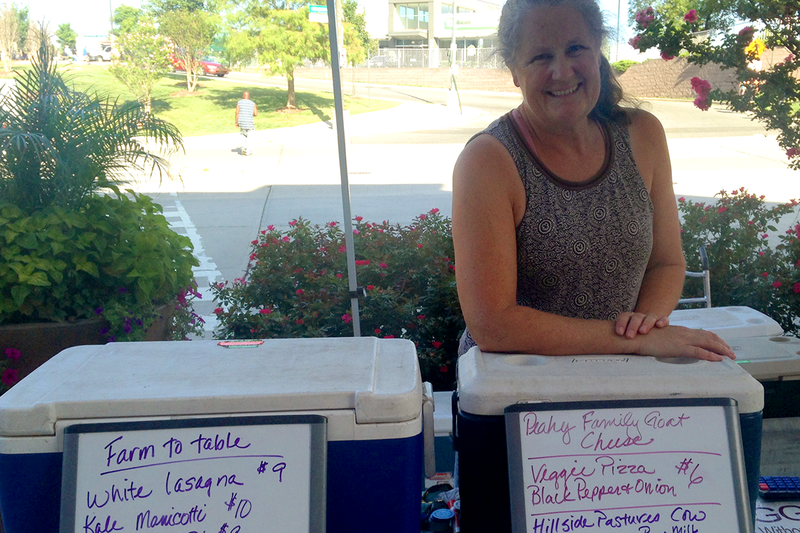 Locally-owned businesses give our neighborhood convenience, charm and character. We have a diverse array of restaurants and entertainment in Brookland, which contribute to the local economy. BNCA is happy to offer our support to local non-profit organizations, entrepreneurs and business-owners, especially those working to revitalize and sustain our vibrant town center. To show support, BNCA writes letters when businesses have a compelling case. Some of the places we have supported include: Dance Place, San Antonio Bar and Grill, Brookland’s Finest, and Askale Cafe. To see BNCA support letters, visit our Reading Room. Northeast DC has some heavy industrial pollution, with the Fort Myer Asphalt Plant along the rail tracks permitted to emit over 4 tons of volatile organic compounds (VOCs) each year into the atmosphere. Two auto body shops were proposed for Rhode Island Ave in January 2015, which would have spewed 3 times as many fumes into the air we breathe. This prompted BNCA to send a letter to the District Dept. of the Environment, opposing any permits. When the council passed a moratorium on paint spray booths in Ward 5, we applauded them. We also strongly support the new regulations of the District Department of Energy and Environment, which has just set more stringent standards. If you are aware of an environmental hazard in Brookland, please contact us and we will fight to get it resolved! Undergrounding the unsightly overhead utility lines will promote a healthy tree canopy and is key to the economic revitalization of Brookland’s business corridors. BNCA works with a variety of neighborhood groups to address this problem. Most recently, we were instrumental in convincing the Colonel Brooks developers to underground utility lines at the future 901 Monroe Street project. 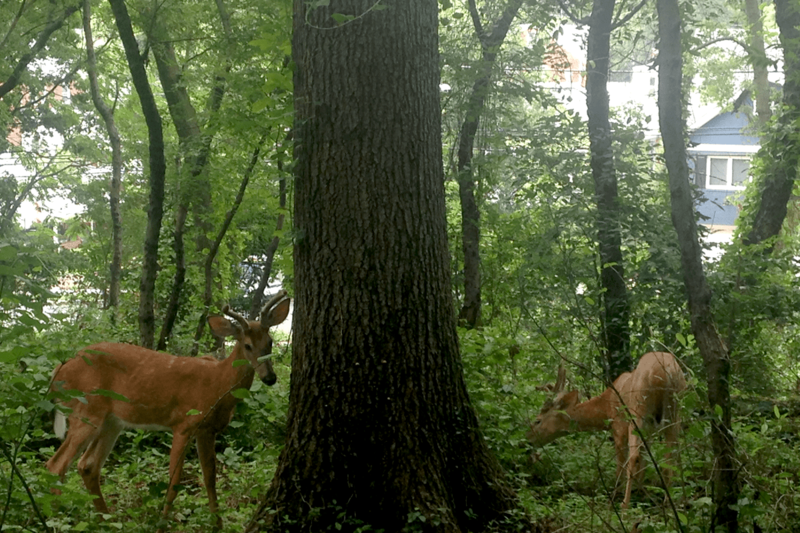 The need for public parkland and green space in Brookland is high. 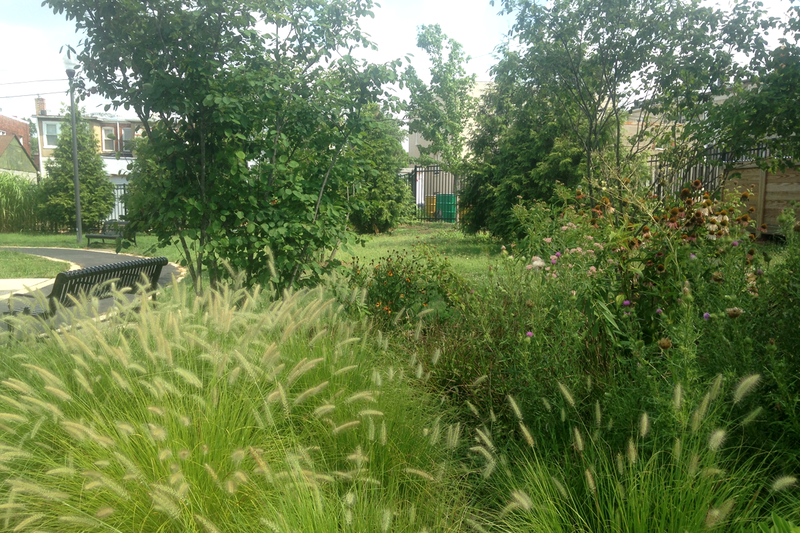 Brookland has very few publicly accessible places for outdoor group gatherings or recreation. BNCA is working to expand and protect what little we have. We are working with city officials and the Friends of Noyes Park to keep Noyes Park a vibrant space for our community. Department of Parks and Recreation has been a frequent guest at our meetings, especially during the planning phases of Noyes Park and the Turkey Thicket playground renovation. 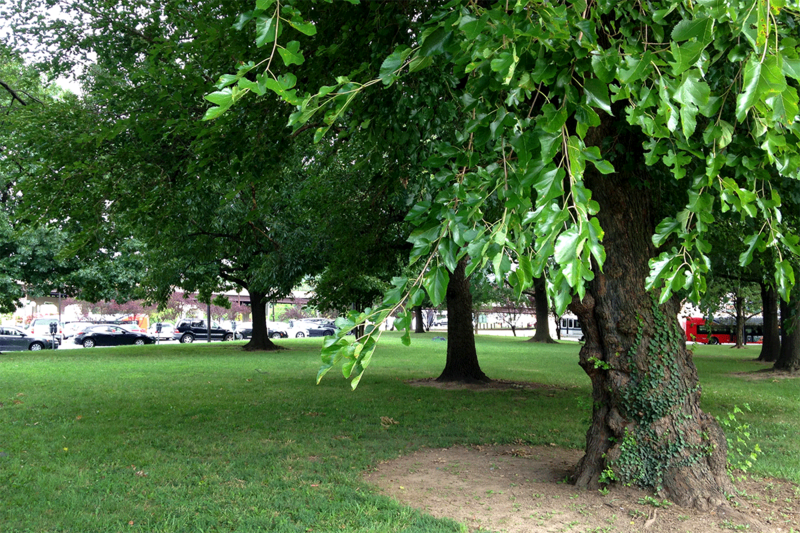 In 2013, the Washington Metropolitan Transit Authority planned a development adjacent to the Brookland Metro station that would have taken over the grassy lawn east of the station known as the “Brookland Green.” There was a community outpouring to preserve the small field with over 20 mature, healthy trees. Through online petition, 377 signatures were collected that winter to save The Green. BNCA asked Councilmember Kenyan McDuffie and the Office of Planning to consider a land swap. And in December of 2013, we succeeded! The city announced their plan to trade an unused parcel of city-owned land for the Brookland Green. WMATA still intends to develop the remaining land around the Metro station, but The Green will be preserved for the public and for future generations. Fort Bunker Hill Park is managed by the National Park Service. BNCA partners with NPS in stewardship of this historic park. We sponsor regularly scheduled clean-ups to maintain and make improvements, so the park will be more fully used and enjoyed. Fort Bunker Hill Park is one of the Fort Circle Parks surrounding the nation’s capital as part of a system of Civil War fortifications. In the spring and Fall of 2015, BNCA scheduled clean-ups with fantastic turn-outs. Check out the Calendar for future events and come join us! 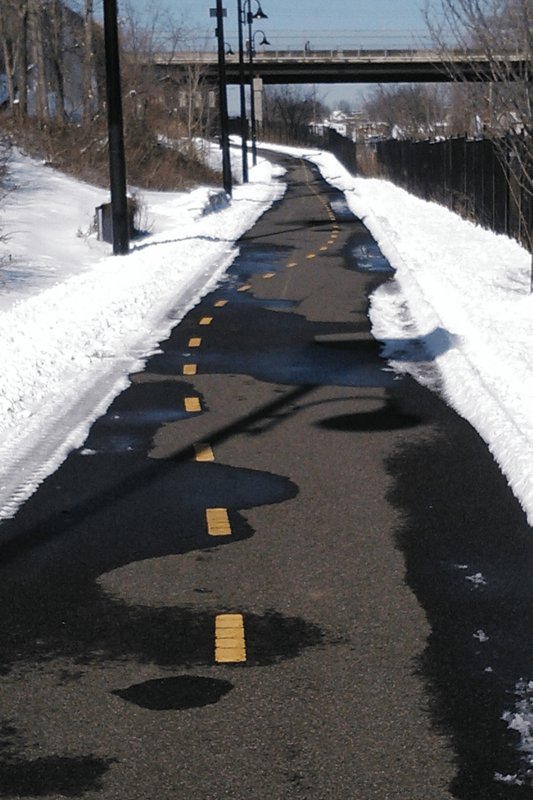 This 8-mile trail from Silver Spring to Union Station creates a convenient and non-polluting path to downtown DC, and has become even more convenient to Brookland since the Pedestrian Bridge was installed in 2015. Cycling reduces your risk of heart disease, type 2 diabetes and stroke. It also boosts your mood, and helps you overcome the headaches of commuting. There’s never been a better time to try it, since Safe Track is going to inconvenience Metro-riders city-wide. You might discover it’s a faster way to get to work. 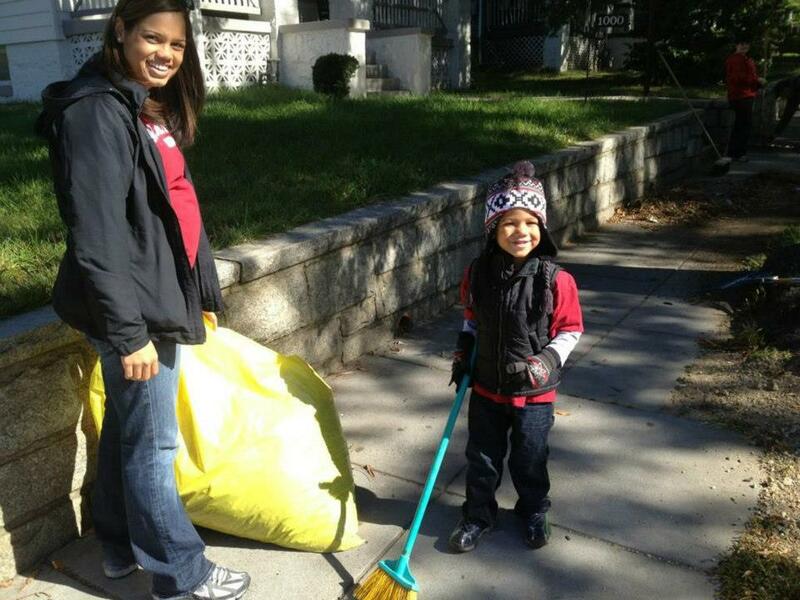 Several times a year, BNCA sponsors neighborhood clean-ups to keep Brookland trash- and graffiti-free. Research shows that clean streets reduce crime. After we serve the community together, we usually celebrate at a nearby restaurant. It’s a great way to meet your neighbors. As a community, it’s up to us to promote and share Brookland’s history. By telling these stories, we connect long-time residents to new ones, and foster pride in our neighborhood. Brookland has 12 registered historic landmarks, and 6 properties on the Cultural Tourism DC’s African American Heritage Trail. For a full list of sites, visit our Brookland History Map. If a community is interested in nominating a property for historic designation, they may get involved in the process outlined here. BNCA can support applications for historic preservation, history lectures, walking tours, and community dialog. We may also assist as a representative to the Historic Preservation Office. The city relies on public participation as they seek to recognize historic and culturally significant places. Left unrecognized, these properties are threatened by deterioration, demolition, or bad renovation. Historic designation is the only sure way to protect historic places from such a fate. BNCA, in coordination with the community, will help to identify and defend any place we collectively value in Brookland. 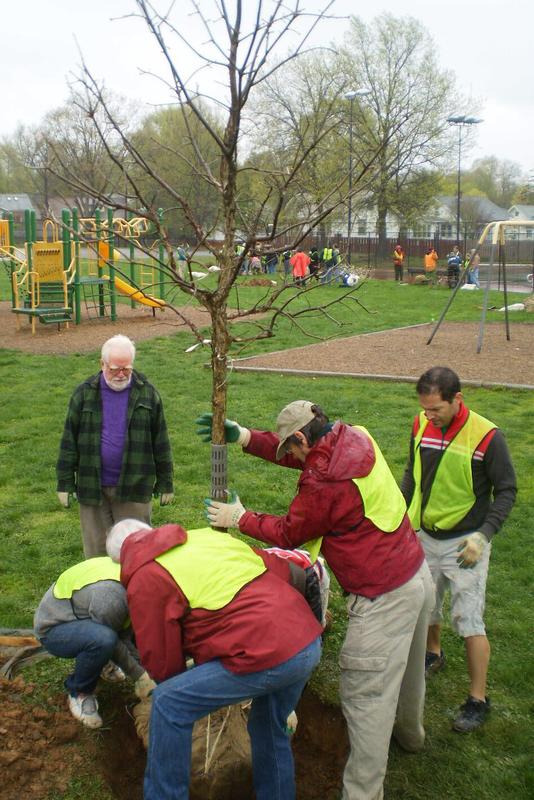 BNCA organizes community tree plantings with Casey Trees, which is based in Brookland. Come get your hands dirty, and learn the right way to plant a tree with a Casey Trees’ arborist! You can also help water young trees. Adopt a tree near your house, and care for it during the first two years. If you are interested in planting a tree at your home, office or school, we encourage you to sign up with River Smart Homes. Through this city program, you can have a tree planted for only $50. You may also qualify for other low-cost plantings, rain barrels or rain gardens. Not sure what is a rain garden? Check out Casey Trees headquarted at 12th and Irving Street NE. There is a great demonstration that you can see from 12th Street. They are using trees and other native plants to absorb rain water that runs off the building and the street. This reduces area flooding, and helps clean up our waterways and the Chesapeake Bay.